As the title implies we’re going to DEFCON! We’ll have a booth again this year, so come check us out in the vendor area. 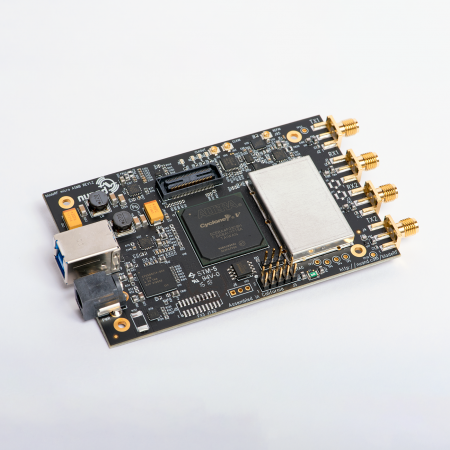 In honor of going to DEFCON, we would like to announce our the bladeRF SDR challenge which we will be hosting at our booth. As the following code snippets imply, winners will be award prizes. Bob communicates a message to Alice every 3 minutes. Bob uses these messages to authenticate himself to Alice (via a mutually agreed upon PRN) and instruct Alice who she should send prizes to. The message is a FSK modulate and Manchester encoded. Bob’s messages contain a packet ID and a pseudo random number (PRN), that is used to validate the authenticity of the packet. By ignoring any repeated packet ID and PRN pairs, Alice is able to protect against replay attacks. Both Alice and Bob have the same PRN generator so Alice knows what to expect from Bob. If the ID and PRN pairs match what Alice is expecting, and the prize field is non-zero, Alice will declare a winner and automatically award a prize. The challenge lies in assuming the position of Eve and figuring out a way to use the modulation and/or coding scheme to come up with a way of leveraging Bob’s packet to trick Alice. NOTE: Do not try bruteforcing the PRN, srand() will have a different seed at DEFCON. Bob – the program responsible for sending authenticated messages to Alice every 5 minutes. // message is now 2x as long!